Shawn Scott, the man behind the Yes on 1 campaign, says the public should focus its attention on the jobs and revenue his proposal would bring. Gambling entrepreneur Shawn Scott said Tuesday that Maine voters should focus on the economic potential of his bid to build a casino in York County, not on the high-profile controversy he blames on a rival. Mainers will go to the polls next Tuesday to decide whether to authorize a third casino in Maine. But the timing of Tuesday’s news conference likely had as much, if not more, to do with events taking place at the same time 55 miles up the road. The treasurer of the casino’s initial campaign and Scott’s sister, Lisa Scott, testified Tuesday before the Maine Commission on Governmental Ethics and Election Practices. Ethics commission staff and board members are investigating the complex web of sources of the campaign’s finances and whether the campaign broke disclosure or filing rules. 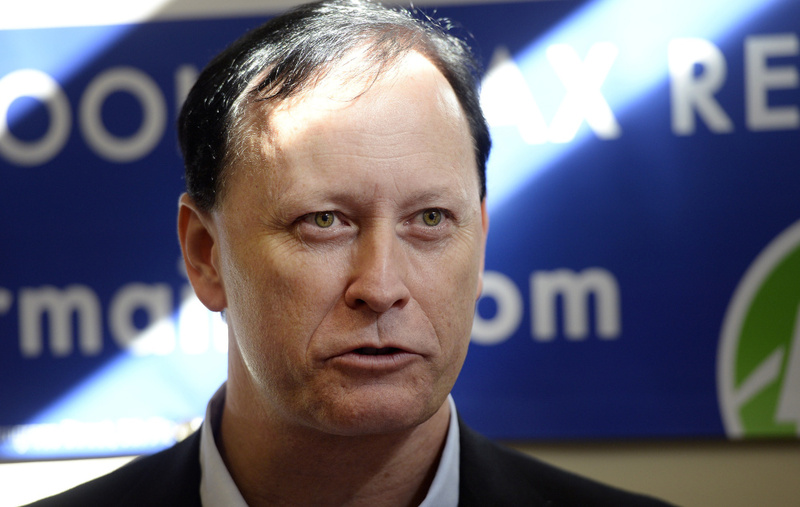 Neither Scott nor his supporters mentioned the ethics commission hearing except when asked. 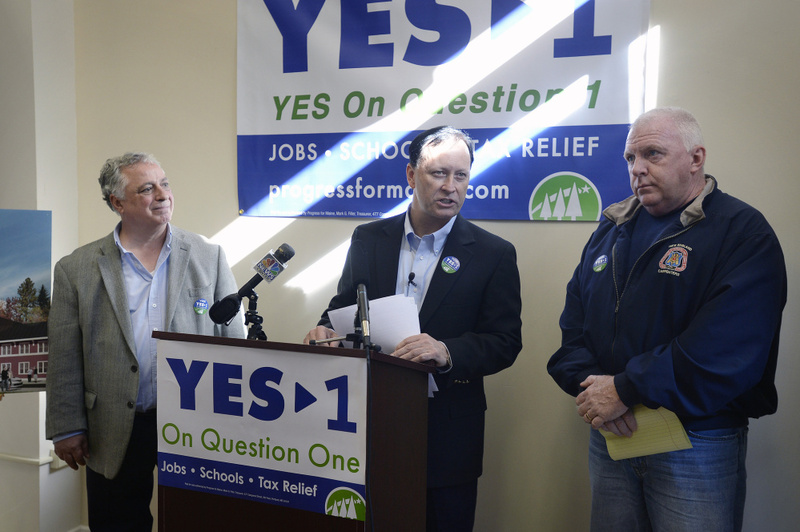 Instead, the Question 1 supporters – including representatives of two trade unions whose members would help build the estimated $200 million facility – touted the jobs and economic activity projected from a southern Maine casino. Progress for Maine, the campaign behind Question 1, estimates the project will create 2,100 jobs and generate $45 million in tax revenue annually. John Leavitt, regional business manager for the New England Regional Council of Carpenters, pointed to the economic development and jobs tied to Hollywood Casino in Bangor and Oxford Casino in Oxford. Leavitt called the proposed York County casino – whose exact location has not been determined – “a great project and a beautiful building” that will create both construction jobs and good-paying permanent jobs. The York County casino campaign already ranks among the most expensive ballot initiatives in Maine history. Oxford Casino has contributed $700,000 to the A Bad Deal for Maine PAC. Scott and the other principal backer of the York County casino proposal, David Wilson, directed much of their criticism at Oxford Casino and its owner, Kentucky-based Churchill Downs. Roy Lenardson, treasurer and director of A Bad Deal for Maine, acknowledged that Churchill Downs opposes the York County proposal in part because it will inevitably divert some would-be Oxford visitors to York County. As for Scott’s repeated assertions that the opposition PAC was “lying” about him and his associates, Lenardson said A Bad Deal for Maine merely posted details of the publicly aired problems Scott and his businesses have had from Louisiana to Nevada. More than a decade ago, Scott won voter approval for the combined racetrack-slots parlor in Bangor but then sold it to Penn National for $51 million. He has “flipped” other gambling licenses in other states, fueling speculation that he could once again attempt to do the same with the York County casino.